The footprint is compatible with Arduino/MEGA boards. 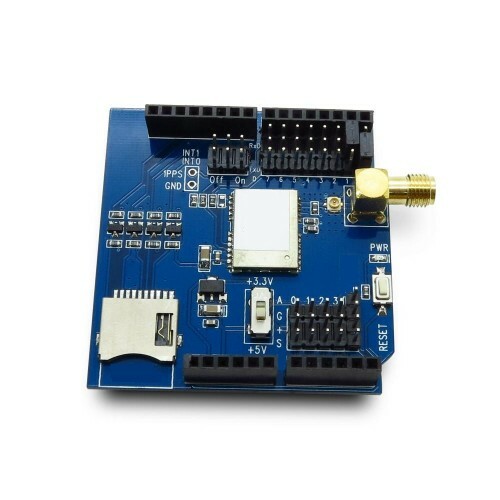 The regular GPS pins (RX, TX) can be connected to D0-D7 of Arduino. Adding GPS to your Arduino has never been easier. Multiple GPS receivers attach easily to the shield; you will be able to locate your exact position within a few meters. Here's where we are.